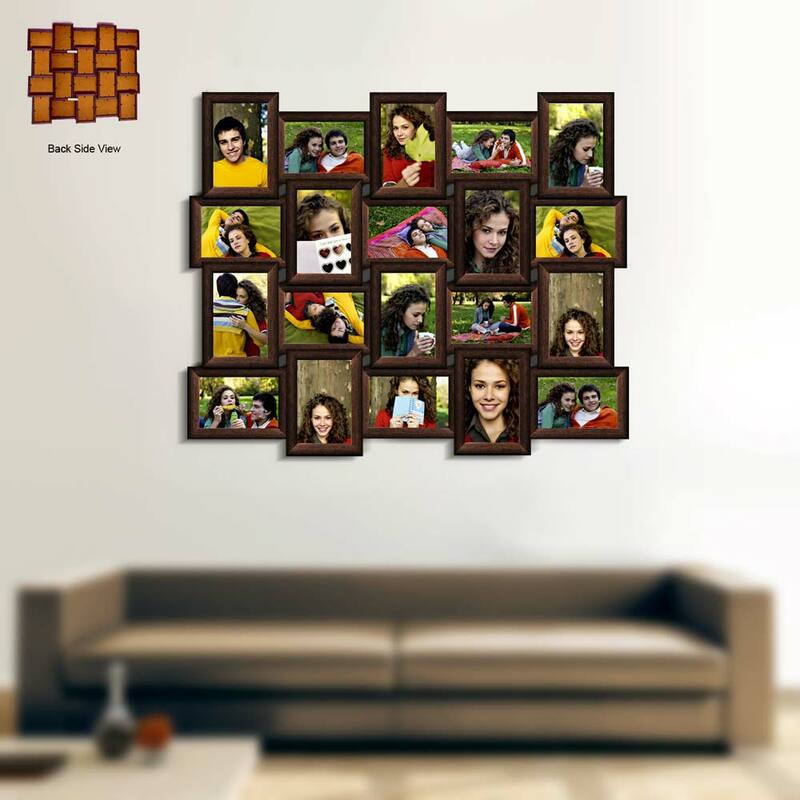 Our brown collage frame displays twenty 4 by 6-Inch prints in a very contemporary design. Features a brown high quality synthetic wood in a windowpane style to showcase your timeless memories. Attached wall hangings add to their ease of use. Note: The color and the appearance of the actual product may vary from the picture.